Socks are a very unappreciated item of clothing. They’re usually black or white, unexciting, and along with men’s underwear easily the least-looked-at item of clothing a human being can wear. It doesn’t need to be that way, though. 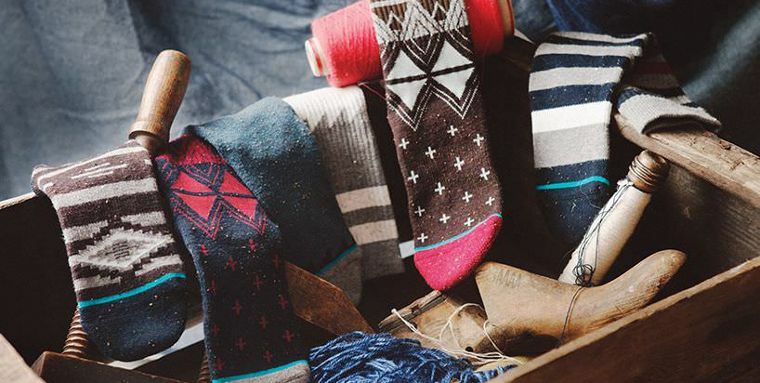 Stance is in the business of liberating your sock wardrobe: do it with color. They don’t need to match. The world is your oyster! Stance Likes Wild Stance socks are always unconventional and super comfortable. Collabs with the MLB and the NBA gave us tons of socks with American sports teams and team colors on them. In fact, it took a couple of NBA stars to start wearing Stance socks before they really caught on with the mainstream. In addition to sports collabs, Stance has featured prints from Star Wars, Harley Davidson, Beavis x Butthead and even released a line with Rihanna and a line called the Skate Legends Series. The latter included classic graphics from old pros like Steve Caballero or Christian Hosoi. So you’ve got the socks. Now you’re gonna need the skate shoes to put them in. Stance of course has their own skate team. Nyjah Huston, Ishod Wair, Andrew Reynolds, Tom Remillard, Jason Jessee and Chris Cole all skate with Stance socks on.